Also check out our US Navy quote section! The original six frigates were authorized as part of the Act. The frigates were originally designated by the letters A through F until March 1795, when Secretary of War Timothy Pickering prepared a list of ten suggested names for the ships. President Washington was responsible for selecting five of the names: Constitution, United States, President, Constellation, and Congress, each of which represented a principle of the United States Constitution. The sixth frigate, Chesapeake, remained nameless until 1799, when Secretary of the Navy Benjamin Stoddert designated her a namesake of Chesapeake Bay, ignoring the previous Constitutional naming protocol. USS Constitution - rated at 44 guns, launched from Edmund Hartt's shipyard in Boston, Massachusetts on 21 October 1797. Constitution is berthed at the Charlestown Navy Yard in Massachusetts and is the oldest commissioned vessel afloat in the world. USS United States - United States was built in Philadelphia, launched on 10 May 1797, and commissioned on 11 July 1798. In 1861 the ship was seized and commissioned into the Confederate States Navy, which later scuttled the ship. In 1862, Union forces raised the scuttled ship and retained control until she was broken up in 1865. USS President - Rated at 44 guns, President was the last frigate to be completed, launching from New York City on 10 April 1800 with Captain Thomas Truxtun in command. President was captured and taken into the Royal Navy as HMS President in January of 1815, but served only a few years before being broken up in 1818. USS Constellation - Constellation was built in Baltimore and launched on 7 September 1797. On 9 February 1799, she fought and captured the French frigate L'Insurgente. This was the first major victory by an American-designed and -built warship. Constellation was struck in 1853 and broken up. Some timbers were re-used in the building of a new Constellation. USS Congress - Congress—rated at 38 guns—was launched on 15 August 1799 under the command of Captain James Sever. She began serving as a receiving ship in 1824 and remained on that duty until ordered broken up in 1834. USS Chesapeake - Chesapeake was built at the Gosport Navy Yard, Virginia, and was launched on 2 December 1799. The frigate that became Chesapeake was originally planned as a 44-gun ship, but when her construction began in 1798 the original design plan was altered, resulting in the ship's re-rating to 36 guns. Chesapeake was captured on 1 June 1813. Taken into Royal Navy service, she was later sold, and broken up at Portsmouth, England, in 1820. The preparation of naval forces necessary for the effective prosecution of war, the maintenance of naval aviation, including land-based naval aviation, air transport essential for naval operations and all air weapons and air techniques involved in the operations and activities of the Navy, and the development of aircraft, weapons, tactics, technique, organization, and equipment of naval combat and service elements. The Navy operates 290 ships, 3,700 aircraft, 50,000 non-combat vehicles and owns 75,200 buildings on 3,300,000 acres. There are currently 11 aircraft carriers, 22 cruisers, 60 destroyers, 29 frigates, 2 littoral combat ships, 9 amphibious assault ships, 2 amphibious command ships, 9 amphibious transport docks, 12 dock landing ships, 53 attack submarines, 14 ballistic missile submarines, 4 guided missile submarines, 14 mine countermeasures ships, 11 patrol boats, and 1 technical research ship (military intelligence ship, the USS Pueblo, which is currently held by North Korea). Support ships include two hospital ships, four salvage ships, two submarine tenders, one ammunition ship, five combat stores ships, four fast combat support ships, nine dry cargo ships, 15 replenishment oilers, four Fleet Ocean Tugs, fifteen large district harbor tugs,four ocean surveillance ships, four container ships, 16 cargo ships (used for pre-positioning of Marine and Army material), and seven vehicle cargo ships (also used for prepositioning). Ships denoted with the prefix USS are commissioned ships. US Navy support ships are often non-commissioned ships operated by and organized within Military Sealift Command. Those denoted USNS are owned by the US Navy; those denoted by MV are chartered. The U.S. Navy is the largest in the world; its battle fleet tonnage is greater than that of the next 13 largest navies combined. The U.S. Navy also has the world's largest carrier fleet, with 11 in service, one under construction (two planned), and one in reserve. The service had 328,516 personnel on active duty and 101,689 in the Navy Reserve in January 2011. Click here to view businesses owned by current and prior United States Navy personnel! 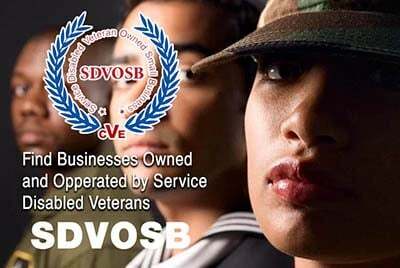 Click here to view businesses owned by current and prior United States Navy reserve personnel!